Hear ye! Hear ye! Overmountain Men and their families will come to life at the Abingdon Muster Grounds. 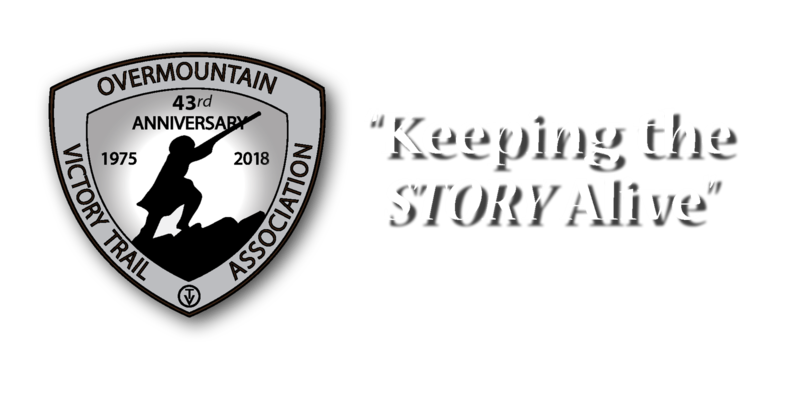 This event will highlight the importance of the Washington County, Virginia militia and the Revolutionary War Battle of Kings Mountain, 1780. There will be demonstrations related to life in backcountry Virginia during colonial times. This event has activities for the whole family! 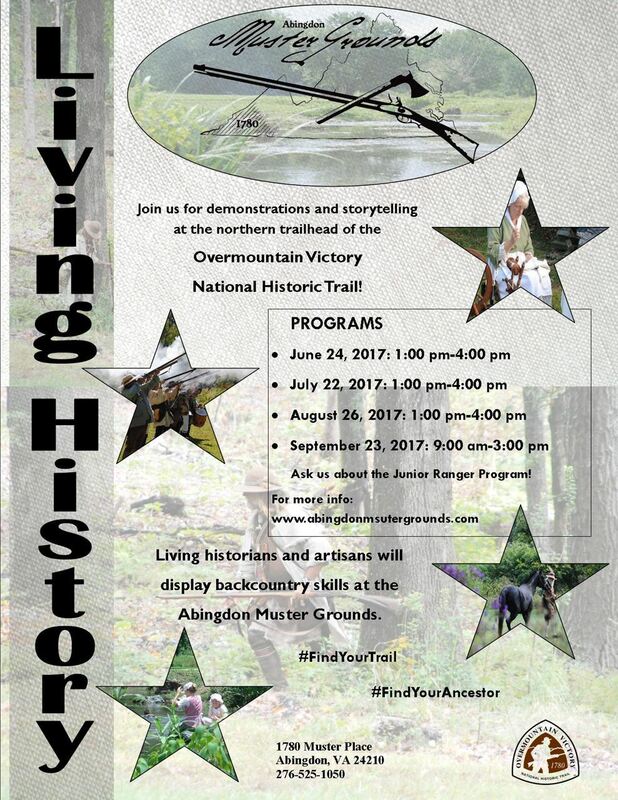 Join the Overmountain Victory Trail Association, Blacks Fort Chapter-DAR, and General William Campbell Chapter-SAR as we bring history to life. 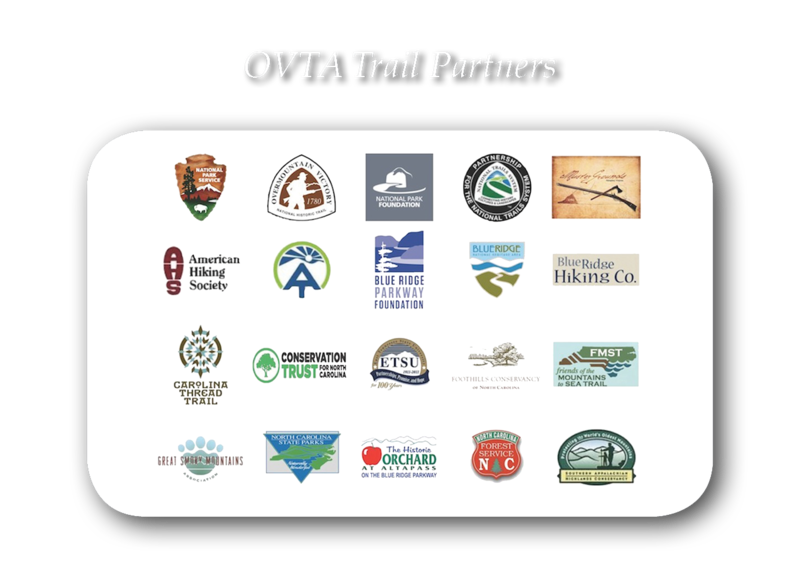 Certified by the National Park Service as the northern trailhead of the Overmountain Victory National Historic Trail, the Abingdon Muster Grounds is a picturesque 9-acre park with significant history. When a call was issued for militia to respond to British Major Patrick Ferguson’s threat that, “he would march his army over the mountains, hang their leaders, and lay their country waste with fire and sword,” men from all over the region moved into action. Under the leadership of Colonel William Campbell, 400 Virginians set out to join patriot militia from modern-day Tennessee, North Carolina, South Carolina, and Georgia. After a two week campaign, the Overmountain Men fought the Battle of Kings Mountain with overwhelming success. Thomas Jefferson said it was “the turn of the tide of success which terminated the Revolutionary War, with the seal of our independence”. The Keller Interpretive Center, located at the Abingdon Muster Grounds, houses southwest Virginia’s premier Revolutionary War exhibits. Artifacts associated with backcountry Virginia and the Battle of Kings Mountain are on display.